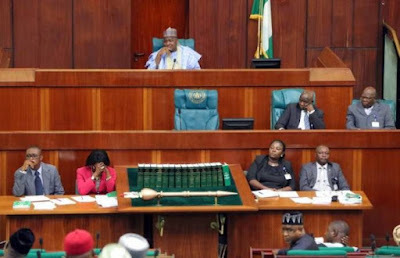 The House of Representatives yesterday, stood down a bill for an Act to regulate International studies for wards and children of public officers, to strengthen indigenous institutions to provide efficient educational services for national development. The bill sought to check the rising rate with which children of public officers study outside the shores of Nigeria. During the second reading of the bill, Hon. Uzoma Nkem-Abonta through a point of order, posited that the proposed legislation is against the constitution which guarantees every citizen certain rights. Abonta therefore, urged the House to step the bill down in order to ensure it does not infringe on the rights of individuals. Similarly, Leader of the House, Femi Gbajabiamila, worried that while the bill might prevent Nigerians from exercising their rights of choice, movement, privacy and family life, among others, it is not a solution to the challenges the education sector faced. Consequently, Speaker Yakubu Dogara ruled that the bill be stood down and referred to the committee on Ethics and Privileges a development that irked sponsor of the bill, Hon. Sergius Ogun. Ogun protested the ruling and threatened to address the media and embark on a road show over the bill to which Dogara responded, “We wish you well; members will attend the road show”. Addressing journalists after plenary, Ogun said the intention of the bill is to ensure that education is given its pride of place in the country. “When we have the capacity to build and develop an enviable educational system, this practice of utilizing our commonwealth in developing the economies of other nations in the name of overseas studies, will leave ours weak and puerile. “Hence, the need to regulate foreign studies. This will in the long run improve the standard of our educational system and bring our educational institutions into the league of leading global educational institutions,” he said.